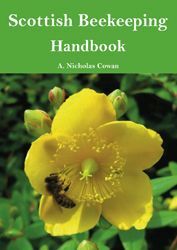 Useful to beginners, Scottish Beekeeping Handbook is concerned almost exclusively with the management of hives for honey production and the creation of new colonies of bees. The author, who has upwards of 35 years beekeeping experience, has developed methods of getting a lot of honey from a few hives in the harsher conditions of the cooler Scottish climate. In this step by step guide he shares the knowledge he has gained, offers tips and answers the questions frequently asked by beginners.